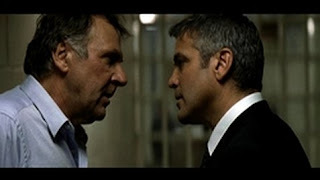 At one point in this 2007 film, George Clooney’s Michael Clayton tells his fellow New York City attorney, Arthur Edens (Tom Wilkinson), “I am not the enemy.” To which Arthur responds, “Then who are you?” This question is at the heart of the movie. After all, his name is the title of this motion picture. This story focuses on where is his moral compass directed, and will it continue to point in the same direction, or will it shift. His last name contains the word “clay,” which in religious usage many times indicates the fallibility of humans. But, it also implies a substance that can be formed, molded into another form. In Michael’s case, it symbolizes possibilities. As the story unfolds we learn that the “organism” Arthur wants to battle can stand for the legal profession and the companies it defends, such as the one at the center of this plot, U/North. He has been defending the company in a multi-billion-dollar lawsuit for selling a toxic defoliant. But, while taking a deposition in Minnesota he encounters a young girl, Anna (Merritt Wever), whose farmer parents have died and whose brother is gravely ill, supposedly as a result of being exposed to U/North’s chemical. We discover that Arthur has a mental condition and had stopped taking his medications. At the deposition, he begins to take his clothes off and seems infatuated with Anna. But, all of this activity carries with it significance beyond the actual behavior. Arthur’s last name is “Edens,” implying that there is innocence in his being, and he wants to get to that place before man’s fall to a pure state of existence. He sees this young woman as an innocent who he wishes to keep uncorrupted. He later tells Anna, (from the mythic new paradise of the American heartland as opposed to the corrupted east of New York), on the phone that we all hope to find someone, “and they’re like a lens and suddenly you’re looking through them and everything changes and nothing can ever be the same again.” Anna is that “lens” for Arthur which refocuses his life. He rips off his clothes as a symbolic act of shedding himself of acquired corruption produced by the world of greed so he can return to the sinless life in the Garden of the Old Testament Bible. Arthur represents in this story one choice of moral direction for Michael. The movie opens, before returning to a period four days prior, with a sequence that ends at a pivotal point concerning which one of those directions Michael will take. He is at a card game. We later learn that he has a gambling problem. At the card table one of the players notes that Michael’s bet on the success of a restaurant. But, we see later that he has to sell everything to pay off gambling debts and is still $75,000 short. We start to develop the impression that Michael is a reckless person, a loser. He leaves the game, and receives a phone call from an acquaintance to help a rich friend out of a mess. The man hit a jogger while driving. This entitled fellow takes no responsibility for his action, blaming the lighting, the road, and the runner. We find out that Michael is a lawyer, but not a trial one. He is at the man’s house to advise him and get him the legal aid he needs. The man expects that Michael should be able to fix things immediately. We see that Michael’s prime job is one of a legal version of a mob “cleaner.” He is the go-to guy to make all the dirty secrets disappear. But, we can see he’s weary of this assignment. He tells the man, “I’m not a miracle worker. I’m a janitor.” While driving away from the house, his GPS flutters. He sees three horses on a hill, is intrigued, and approaches them. At this point, his car explodes. We then go back in time. When Michael picks up his son, Henry (Austin Williams), we see that he is divorced and his wife is remarried with a new baby. Henry tells his father about this fantasy book entitled Realm and Conquest. He says it is about a bunch of characters that are in a universe where they each have a nemesis, but don't know who that person is so they can't trust anyone and just live for themselves. Clayton says, “That sounds familiar,” which is a realization about the fallen corporate/legal environment in which Michael makes his living. Michael’s law firm is trying to fight the U/North lawsuit while a big merger is in the works. One of the partner’s, Marty Bach (Sydney Pollack), wants Michel to control his friend, Arthur, after the latter’s outburst in Minnesota. Michael brings Arthur back to New York and puts him in a hotel room. Henry calls the room and has a conversation with Arthur about the fantasy book. Arthur believes the story parallels his struggle. The boy says that the people in the book are all having the same dream, but don’t know it. They think they are going crazy, that what they envision is not real, but it is, and they are not insane. Arthur says, “It is happening, isn’t it? Something larger than themselves, and they’re not ready, are they, to hear it?” For Arthur, he feels that his insight into the need to do away with harmful greed will meet resistance from narrow-minded, selfish people. Arthur escapes from the hotel room, and locks himself up in his loft apartment. 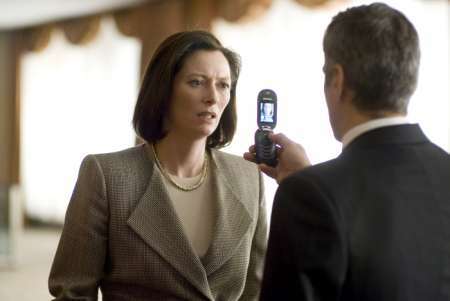 Marty wants him committed, saying that he is wrecking their case since he has been in touch with Anna by phone. But it is difficult to lock him away, as Arthur (quite lucid legally) later points out to Michael, because it is not documented that he is dangerous. 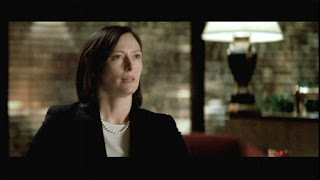 We encounter the in-house chief attorney for U/North, Karen Crowder (Tilda Swinton in an Oscar-winning role). She is the protégé of the prior head lawyer of the company and now member of the corporate board, Don Jeffries (Ken Howard). She is worried about Arthur’s behavior and has a tense meeting with Michael. She uses covert operatives that Jeffries once used to acquire information. So, this fact emphasizes that she is one in a line of immoral agents working for the company. She finds in Arthur’s briefcase a secret corporate scientific memorandum that says that the defoliant U/North was using has serious health risks. She shows this memo to Marty, who is upset, not about its content, but because it can cause disastrous ramifications for U/North and his law firm. He does not tell Michael about the memo. Crowder also shares all of her surveillance information with Marty. Arthur, realizing his apartment has been bugged after finding out from Michael that he knows he called Anna, makes a phone call to himself, knowing U/North can hear it, recording what is in the memorandum. Crowder tells one of the operatives, in euphemistic language, that she wants Arthur killed. They sedate him as he enters his place, inject him under the toenail so as not to be detected, thus killing him, and then make it look as if he overdosed on his medications. 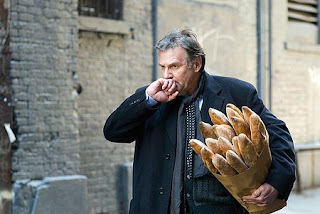 Marty knows nothing of this murder, and when he talks to Michael, he says he doesn’t understand why, if it was a suicide, that Arthur, who never kept quiet, would not have left a note. Also, Michael does not believe that his friend, so revved up in his current crusade, would then overdose on the medications he was avoiding so that he would not be tranquilized. Michael meets Anna in New York because Arthur had asked her to come because he was going to prove her family’s case. 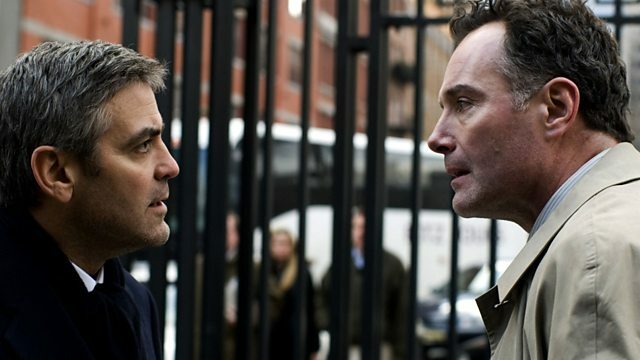 Michael starts to suspect that Arthur, although unbalanced, may have been right about a U/North conspiracy since Marty knows about Arthur’s phone calls, and it is suspicious that the company is now willing to settle at a much lower amount as soon as Arthur is out of the way. He convinces his policeman brother to allow him access to Arthur’s apartment. He finds a receipt from a photocopying company before the police burst into the loft and arrest him. After his brother gets him released, he knows he was followed because no one should have known he was going to the apartment. He goes to the copying center and discovers that Arthur had boxes of the incriminating memorandum made up. It is titled “Realm and Conquest” after the book Henry read and it has the same red cover as the fantasy story. But, Michael was followed to the store, and the henchmen provide a copy of the bound memo to Crowder who now sees Michael as a serious threat. Michael had asked Marty for an advance of cash so he could pay off his debts. His boss gives him a check on the provision that he must sign a retroactive nondisclosure clause. Michael goes to Marty with the memo, but Marty basically says that Michael is naïve to think that money is made ethically. If the memo gets out then U/North will not only withhold legal fees of nine million dollars, but will sue the law firm for malpractice based on Arthur’s actions. It will also destroy the merger that is taking place. So, the company has Marty’s firm under its thumb. Michael takes the money and pays off his debt. The audience now catches up to the actions at the beginning of the film. But, now we see Crowder’s covert force placing a bomb in Michael’s car while he plays cards, which is what causes the GPS to flutter. 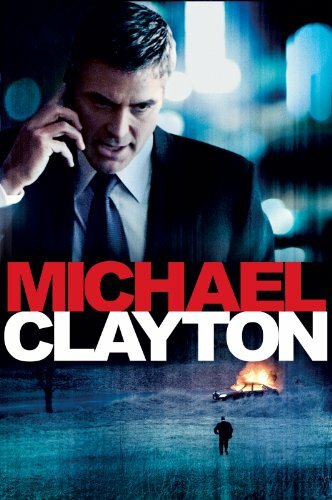 The bomb goes off when Michael has detached himself from the fallen world of corporate greed and conniving lawyers. He is in that bucolic field which Minnesota symbolized, which Anna represents, to which Arthur wanted to return. While he is communing with nature and its beauty, embodied by the horses, he is saved from the treachery of the corrupt world. 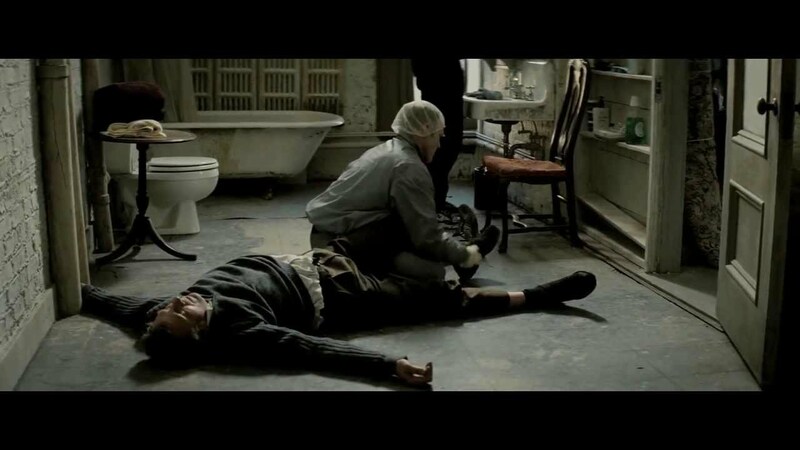 Whereas Arthur shows Michael the way to redemption, Crowder exemplifies the road to perdition (the title of another film analyzed in a prior post). Another choice is exemplified by Michael’s brothers. One, Ray (Kevin Hagan) is a decent policeman, while the other brother, Timmy (David Lansbury), is a drug addict. Michael harshly judges Timmy, but his sins seem insignificant in comparison to the crimes of the corporation. Michael also has an addiction, and maybe he sees that his life has not been morally superior to that of his addicted brother. After the bomb destroys his car, he reaches out to Timmy who picks him up and gives him a ride. However, when Michael shows up outside a U/North corporate meeting room, we are not sure what he will do. Crowder comes out of the meeting and Michael does see the shaken look on her face, as if she has seen a ghost. Possibly that is why he suspects she is the culprit who ordered the hits, and presents his demand to her. He tells her he sold out his friend for $80,000, so he is not the guy she should kill, but the person she should pay off. He wants ten million dollars. She agrees. But, he has used his shady past to trap Crowder, making her believe he would be easy to buy off. Instead, he transmitted, by way of his cell phone, the whole proceedings, and his brother with other policemen go in for the arrest. When Jefferies comes out of the meeting and asks Michael who is he, he responds with Arthur’s words: “I am Shiva, the God of death.” He now admits his culpability in the unholy scheme of things, as did his fellow lawyer, but he now has turned the tables, because he has destroyed the destroyers. Earlier, Michael, at his family’s house, encounters his shaken brother, Timmy, with his son, Henry, in his car. Henry knows his uncle has taken drugs. Michael reassures his boy that he is strong and will choose the decent way to live. He says to him, “Your Uncle Timmy … on his best day, is never as tough as you … you don’t have to worry, because that’s not how it’s going to be for you.” At the conclusion of the story, Michael also shows his strength. He gives up his career to bring down his pandering law firm and its corrupt employer. 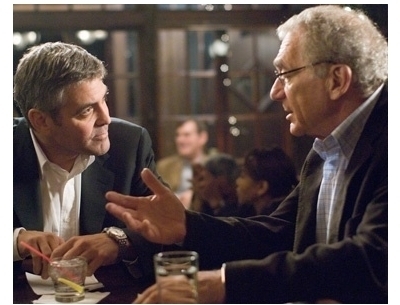 We see who Michael Clayton is in the end. He is the person his son deserves. The next film is Moonstruck.